ModernBeats Inc. is a sound design, music production, & music placement company offering Billboard-proven sample libraries (View Billboard Credits) & connecting musicians to music executives worldwide. For over a decade, ModernBeats has maintained a primary focus in Urban and Pop genres. 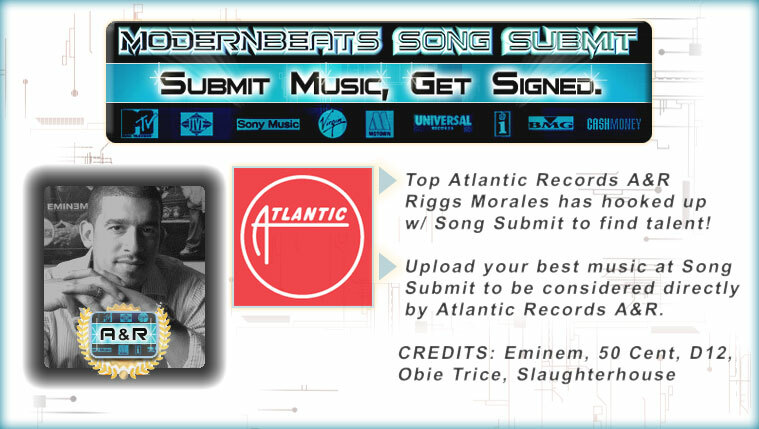 ModernBeats' newest service is Song Submit which helps Record Label A&R, Music Supervisors, Music Publishers, & Artist Management find top quality musical talent from around the world. Music Placement clients include top Film/TV Music Supervisors and Publishers for NBC, MTV, VH1, CBS, Bravo, Style, and Lifetime. For 2 decades, ModernBeats sound and loop libraries have been used in numerous Pop, R&B, Hip-Hop , and Dance Billboard hits worldwide. ModernBeats offers musicians & businesses sound design, music placement, music production training, & connecting music talent to music executives across the globe. 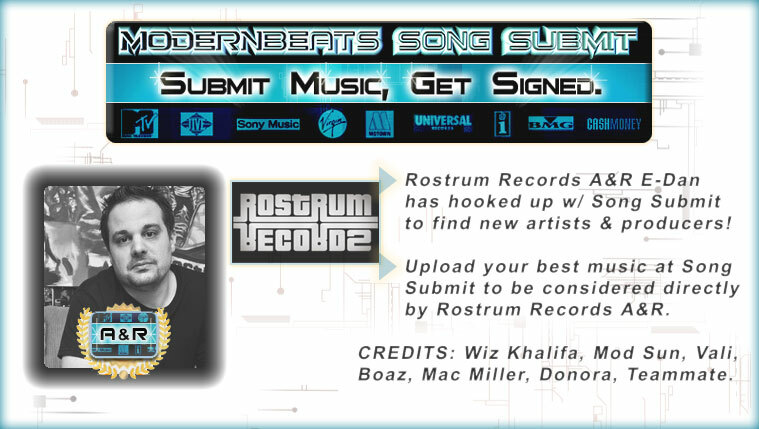 ModernBeats.com is the #1 supplier of professional downloadable Hip Hop Sample Packs for virtually every software sampler and music creation software on the market. Whether you're brewing up beats with Halion, EXS24, Kontakt, Battery, Reason, Acid, Garage Band or...any other music software - We've got you covered! Every ModernBeats sample pack or loop pack is sold as a multi-format download containing multiple native formats within a single download that auto-load into any major software sampler or music creation software of your choice. Plus...every sample pack or loop pack is available for download immediately after purchase & comes w/ automatic free Song Submit uploads - You get your product instantly & a free upload instantly! There's no waiting for any download or upload, everything is serviced automatically at checkout. We work hard to produce sample packs & loop packs that represent the hottest current trends in Hip-Hop, R&B, & Pop. We want our customers to remain loyal customers, so we provide them with the best, up-to-date music production tools available. What good are sounds if they're not of the same quality from what you hear on the radio or see making Billboard? 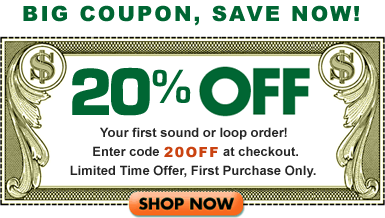 All ModernBeats hip hop sample packs & loop packs are packed to the MAX! Through our rigorous standards & tedious programming, we ensure each sample/loop is properly edited, sculpted, and "radio-ready" - Resulting in the top quality ModernBeats sound packs you see used in so many Billboard hits today. Native formats include: Halion, EXS24, Kontakt, Battery, Reason NN-XT, Reason Rex, Acid, AIFF, SF2, & WAV. Plus, all ModernBeats' libraries are compatible with Fruity Loops, Cubase, Sonar, Ableton, Pro Tools, & more.